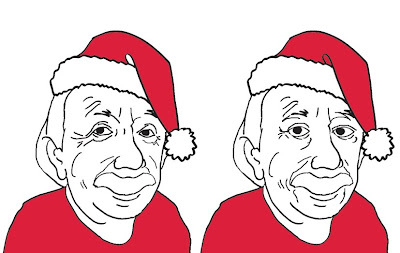 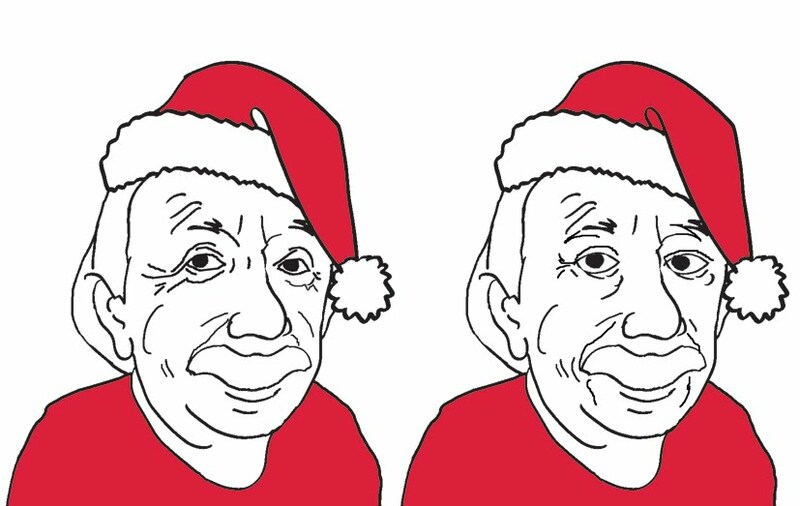 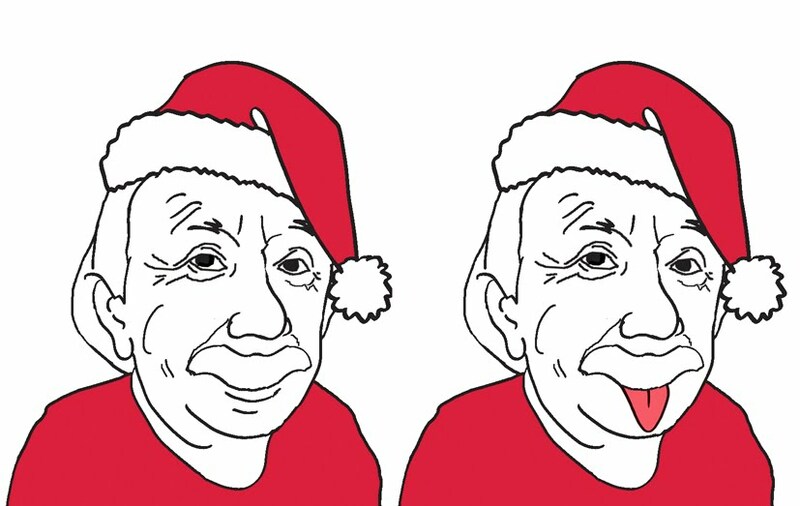 To make a long story short, these two (just below) are the final illustrations for the Greek Xmas Science Illustrated cover (...the one with the tongue made it). Further below you can see previous versions, with the initial text and later additions. 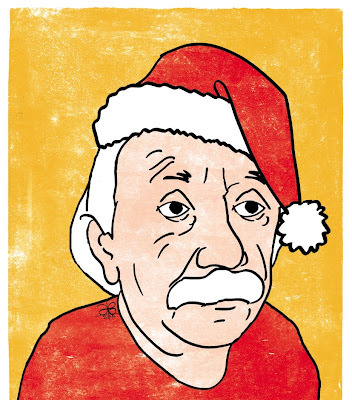 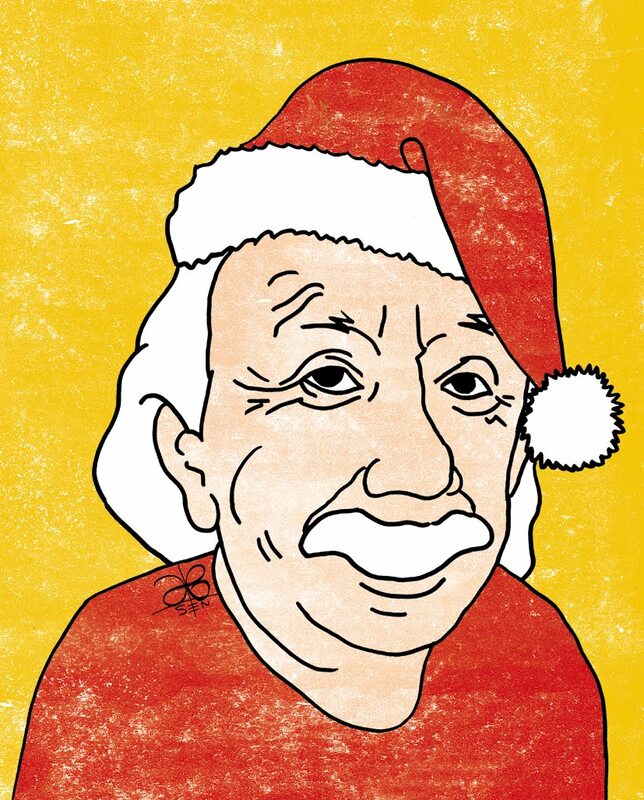 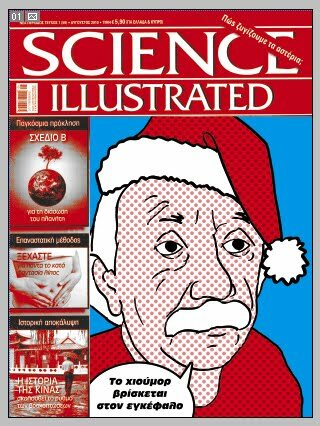 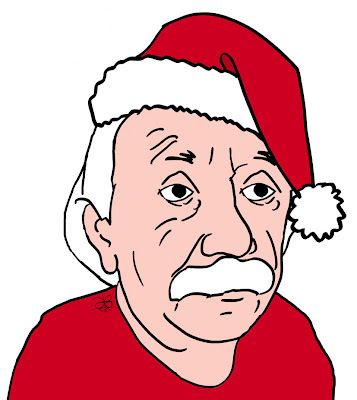 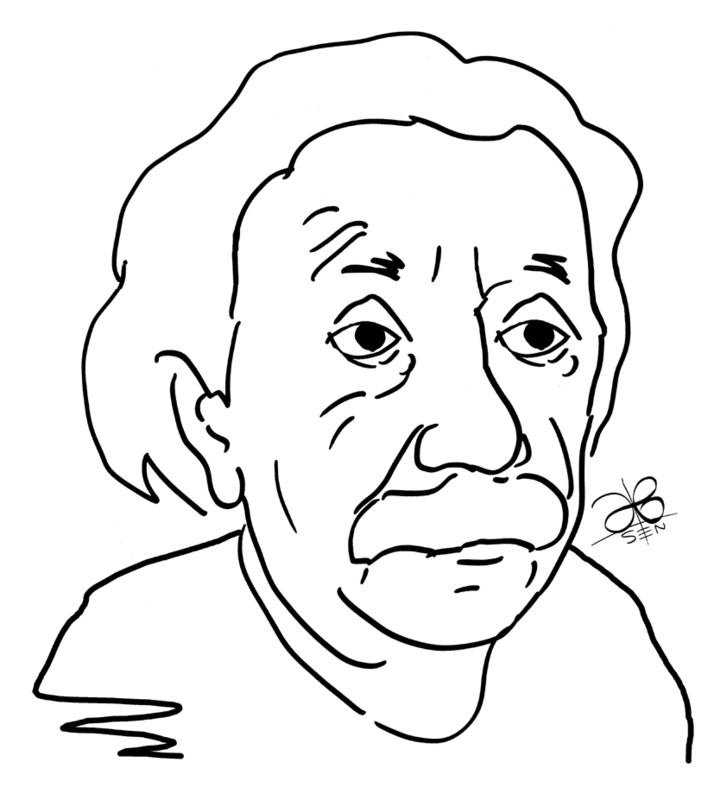 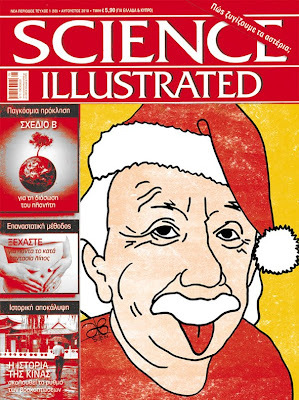 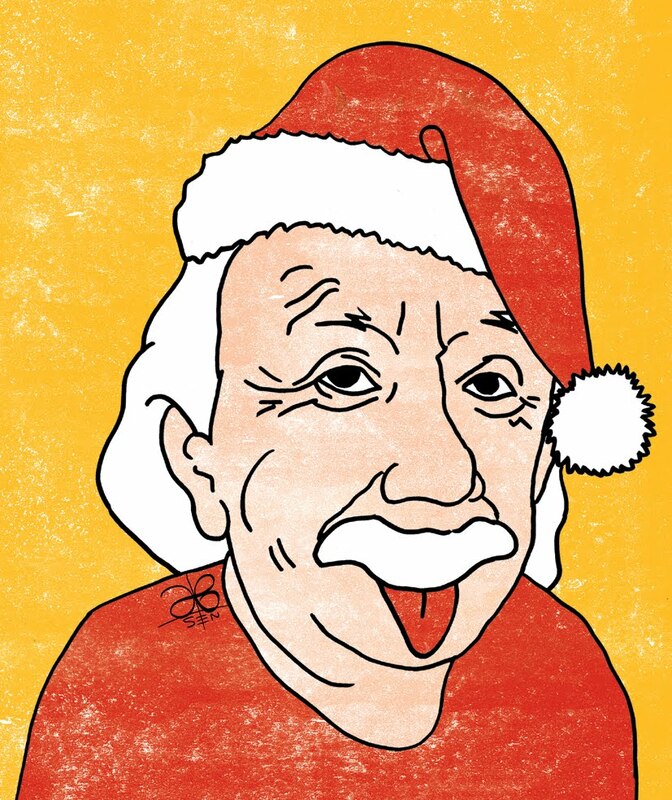 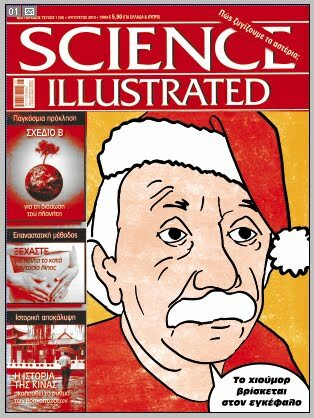 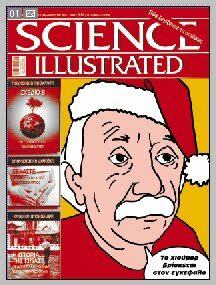 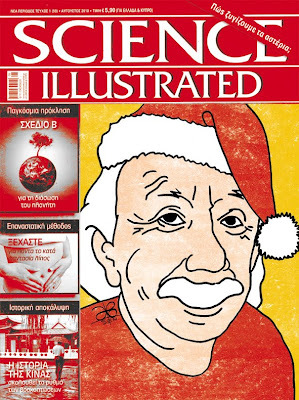 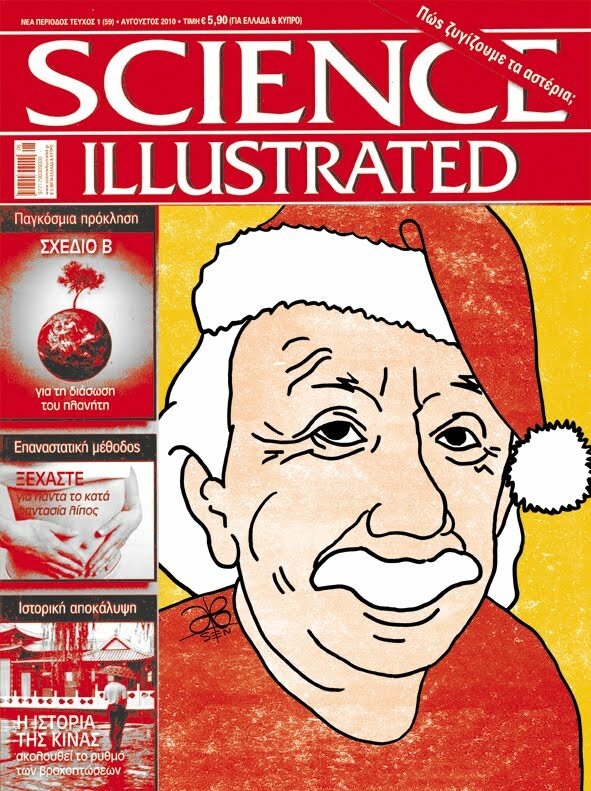 Illustration for the Greek Science Illustrated Xmas cover, and a sketch for its press coverage.